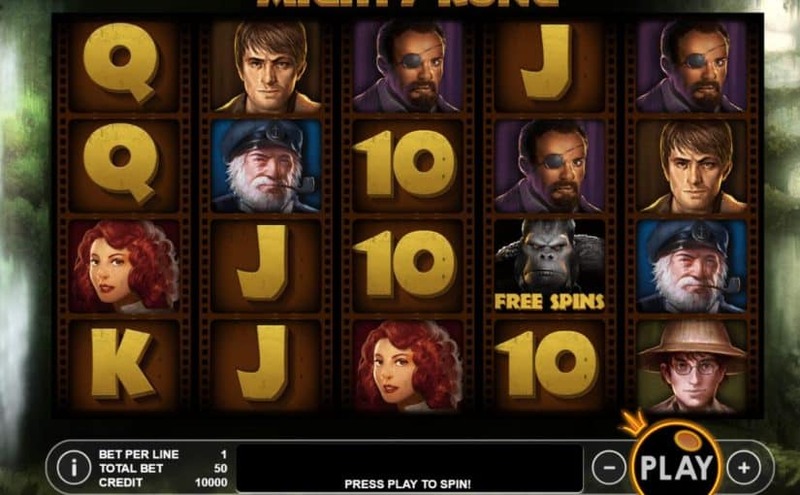 Mighty Kong Video Slot is a 5 reel, 50 payline slot game powered by Pragmatic Play software. All wins pay from left to right except for the scatters which pay in any position. The wild symbol substitutes for all symbols except for the scatter symbol. When the wild symbol appears on reel 3 it expands to fill the entire reel if there is at least one winning combination that would occur if the wild symbol expands. choosing how many free spins and multiplier you would like. awarded the same amount of free spins and multiplier that you originally chose.